Ukrainian Stamps On The Web! The purpose of this web site is to provide the reader with various information about Ukrainian philately and and philatelic history. Since 1991; Ukraine has been able to exist as an independent country. 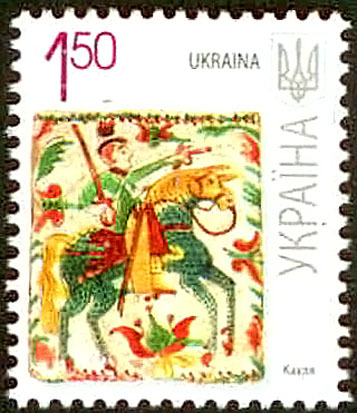 Through the use of stamps, Ukraine's history, culture and traditions will be explained. We are continously researching material for your information. If you have any comments, concerns or information, please feel free to contact us. Your input is greatly appreciated! If you have any questions or comments, please feel free to write to me at: vesna ampersand interbaun period com. This section is being updated to provide the user with current price values for all philatelic material that have been issued since 1992. This information is in Adobe Acrobat (PDF) format. It is also in both English and Ukrainian!. Those of you that do not have Adobe Acrobat (PDF) Reader, can easily download it from Adobe. The Reader is free! Note: These files are huge and may take some time to load! We suggest you use a fast connection and/or when there is little Internet activity. Also, we suggest that you save the file to your local drive and view it off-line for faster viewing. You can now view all postal stationery issued in Ukraine since 1992. 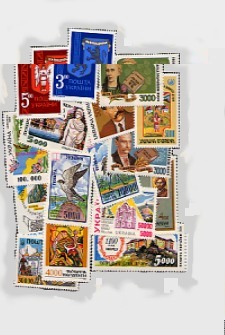 We are providing a list of Ukrainian philatelic sites that may be of interest to you. Information about the Ukrainian Philatelic and Numismatic Society, see their homepage.